Richard Irwin (Belper, United Kingdom) on 22 October 2008 in Plant & Nature. beautiful -- and a lovely color! so rich! Excellent colours and a very good macro the detail is great well done! I need to get out earlier . . exciting season ahead. Love the crisp impact of this. Beautiful, vibrant color! Nice macro! Lovely texture for this intense red leaf ! Marvelous and such rich color. Great framing. 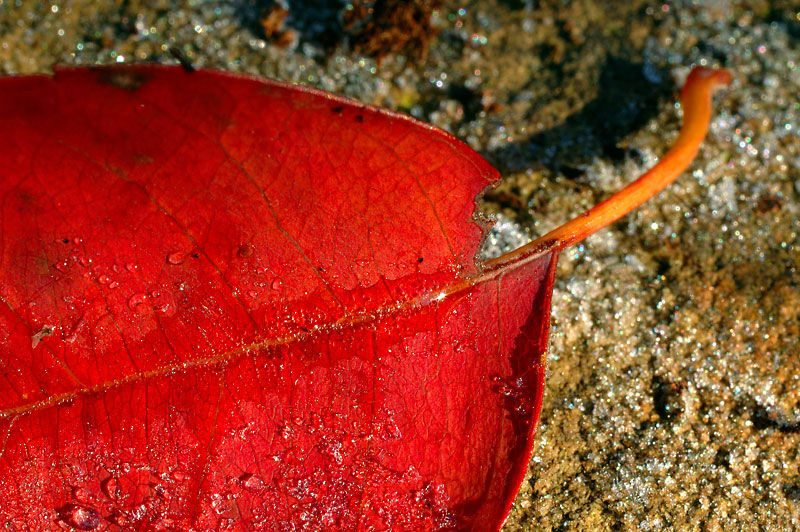 A beautiful deep red ... some similarity between our posts today... like also drops of frost on the leaf and the ground. the red is so rich and vibrant. I really love it. Good macro, and the bright Red and ice crystals make it a beauty of a shot.